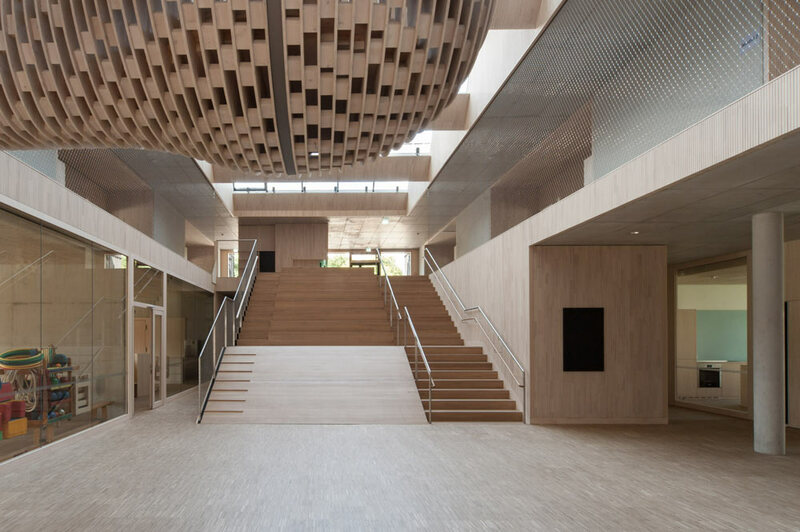 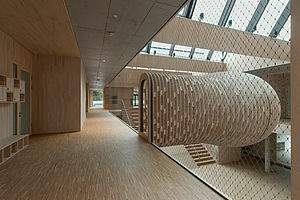 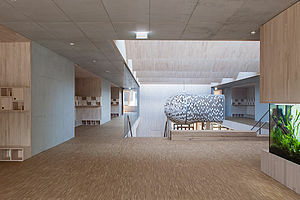 In Friedrichshafen, the new nursery Riedlepark surprises with a unique design of the rooms and a large floor-to-ceiling gallery. 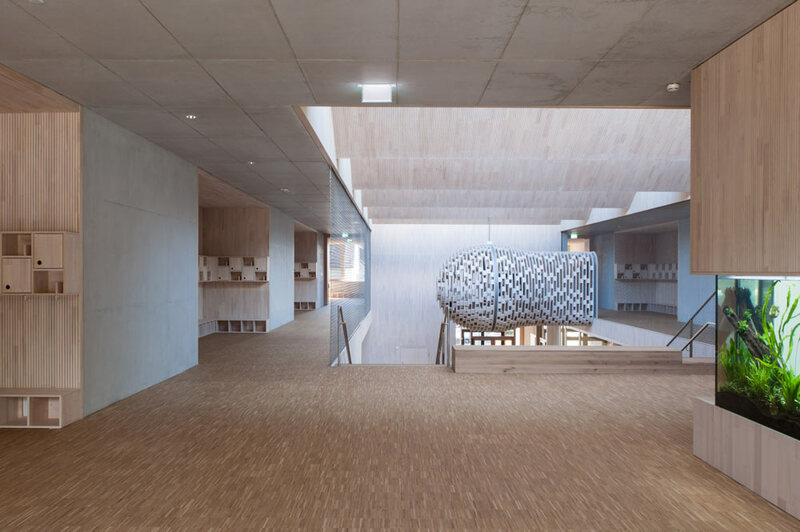 A floating cocoon of fanned wooden discs is the eye-catcher of the room giving the playing children an exciting space for discovery and interaction. All around, a room-high X-TEND stainless steel cable mesh secures the gallery. 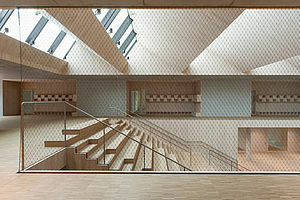 The staircases in the middle of the room are also secured by X-TEND as a balustrade filling.